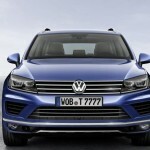 The Volkswagen Touareg facelift is due to be publicly launched at the 2014 Beijing Motor Show, but it seems that the powerful SUV has been launched online, ahead the event. 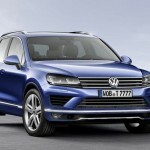 The upgraded model seen in the photos seems to bring some fine retouches at the SUV`s body, like bi xenon headlights at the front fascia and rear end. 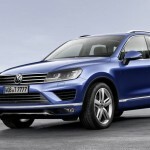 Inside, the facelifted Volkswagen Touareg also comes with some white illumination that would make you see the controls better at night as well as some fine leather hues. 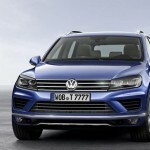 The SUV tweaks modification at its driving systems as well, like the standard post collision braking system for the V6 TDI models. 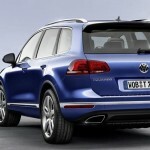 The European models are equipped with a catalytic convertor, which is compliant with Euro 6. Apart from that, you can play along with some updated services like Google Earth, Street View, or the Online Traffic Information. 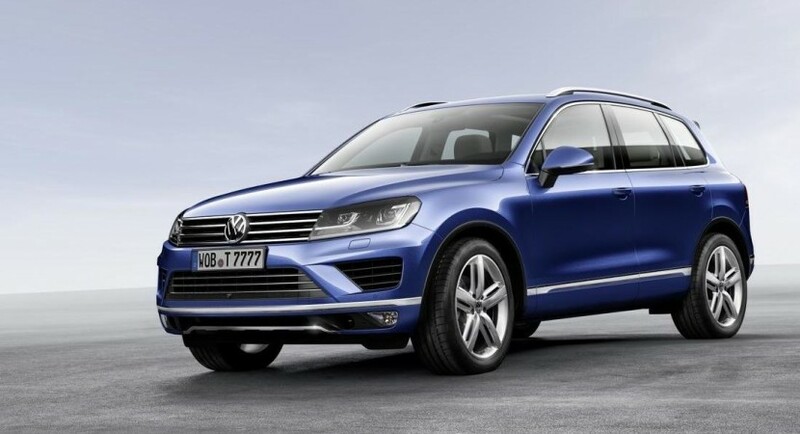 Stay tuned until Sunday, when the facelifted Volkswagen Touareg will be unveiled at the 2014 Beijing Motor Show. More details with the SUV will be rendered there.